The ACT Property Council Awards and Gala Ball was held recently at the National Arboretum in Canberra. 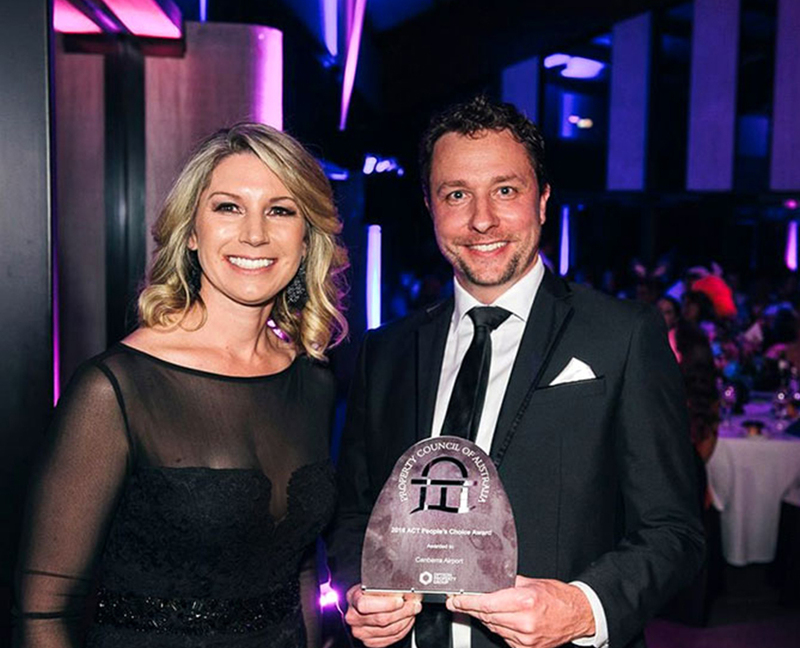 Opteon sponsored the People’s Choice Award for Best Commercial Development which was awarded to Capital Projects Group for Canberra Airport. The award aims to recognise and publicly acknowledge the efficient use of capital in a new or refurbished commercial development in the ACT. Pictured is Narelle Byrne from Opteon Canberra with a representative of Capital Property Group.